Each year, nearly a dozen individually-held senior multilateral posts and various intergovernmental bodies are filled by governments, executive boards or the UN Secretary General. Each selection comes with its own related processes and rules, politics and quirks. Providing an informed insight on even a small number of these (and translating the intergovernmental jargon for a lay audience) requires contributions from experts, advocates and/or passionate supporters. Interest in a multilateral organization’s work lends itself well to explaining how a selection process works, whether the known candidates are qualified, and how what reforms proposals are being advocated by civil society or officials. If you would like to be an associate contributor on a particular office or multilateral body, the following guidelines describe the type of content we’re seeking. For information on offices and bodies which you may wish to write on, visit our page on upcoming campaigns. What kind of content do associate contributors produce for GlobalMemo.org? Content does not have to be highly analytical or scholarly. An insider’s view, substantiated rumor and even a personal experience that provides an interesting take adds to the knowledge about effective processes – or bad ones. However, if you’re a researcher or activist, feel free to submit more analytical pieces that flesh out what is being reported elsewhere. 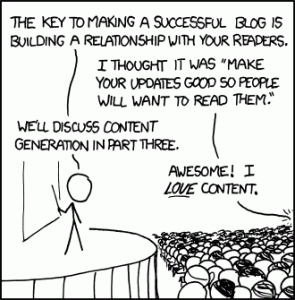 Your post should offer original content, preferable not published elsewhere. Updated versions of previous content published on other sites or in print are acceptable, as long as they contain new material. You agree to not publish the same post elsewhere, other than on a personal including professional blog that includes a link to the same post on GlobalMemo.org. There is no minimum length as long as the content is substantive and/or is written in a way to provoke discussion. The shortest posts should be no fewer than 250 words; longer posts should be no more than 1000-1500 words. Multiple-part posts over the course of a few days are welcomed. You are encouraged to include a short 2-3 sentence bio and/or a single link to a personal website or social network profile to be appended to the end of your post. At the moment, there is no compensation for guest content, though we are exploring this as a option in the future. If you would like to submit a guest post that meet the guidelines above, email a draft article and bio to the editor. You may include the post in the body of the email itself, or as a .docx or .pdf attachment. Submissions will be reviewed within 48 hours, and contributors notified if and when it will be published. If a post is accepted for publication, an associate contributor account will be created to allow you to login directly, update the post and response to comments from readers. If you have any questions not addressed here, feel free to contact the editor.